What Happens If I’m Charged With Domestic Violence While on Parole? A domestic violence allegation can have serious and immediate consequences if you are currently on probation or supervised release for a prior criminal offense. 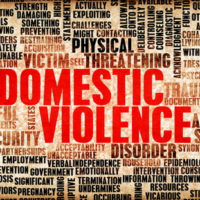 Federal and state law allows a court to revoke your probation if there is evidence you committed an act of domestic violence. And unlike a normal criminal trial, where the prosecution must prove the allegations against you beyond a reasonable doubt, when it comes to revoking probation the standard is lowered to the “preponderance of the evidence.” That is to say, the judge only needs to find it was more likely than not you committed domestic violence before sending you to prison. For example, the U.S. 11th Circuit Court of Appeals recently affirmed a Miami federal judge’s decision to send a defendant to prison for 2 years after revoking his probation. The defendant was on parole after serving a previous term in federal prison. A few weeks into his probation, however, the defendant got into an argument with his girlfriend. The police were soon called to the scene. An officer at the scene later testified there was “redness and scratches” on the girlfriend’s neck. The girlfriend herself posted pictures of these injuries to her social media account later that same night. She also later informed the defendant’s probation officer that he had “choked” her. The probation officer instructed the defendant not to have any further contact with the girlfriend, who was obviously now his accuser. But the defendant apparently ignored this direction and asked the accuser to sign an affidavit recanting her allegations. At a subsequent hearing before the judge, the accuser did in fact recant and said her “story changed” after her conversation with the defendant. The judge did not believe the recantation. He credited the accuser’s original statements to the police, as well as her social media post on the night of the incident. Based on this, as well as the testimony from the police officers, the judge concluded that a “preponderance of the evidence” supported a finding the defendant committed “domestic battery by strangulation,” which is a felony under Florida law punishable by up to two years in prison. Accordingly, the judge sentenced the defendant to that maximum term. The 11th Circuit said the trial court acted well within its discretion. Among other things, the judge was entitled to disbelieve the accuser’s recantation. And while the defendant argued the accuser’s prior statements to police amounted to inadmissible hearsay, the 11th Circuit noted that the normal rules of evidence do not apply “in supervised release revocation hearings.” So long as the defendant was able to cross-examine the accuser–which he was–her hearsay statements may be considered in this context. If you are on probation or parole, Florida judges are not going to cut you any slack. A domestic violence accusation–even a false one that is immediately recanted–can send you right back to prison. That is why you need to contact an experienced Miami domestic violence defense attorney who can advise on the appropriate steps to take next. Contact the Law Office of Julia Kefalinos at (305) 676-9545 if you need to speak with a lawyer today.